Security is a major concern when it comes to homes, businesses, and other places. Besides installing security devices and employing security personnel, installation of exit devices is very critical for unlocking doors during emergency situations. 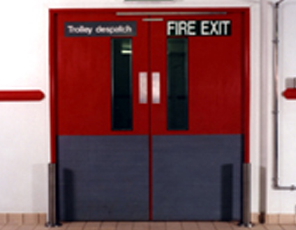 These devices can be installed in a wide range of door types in order to save lives in the event of fire, terrorism attacks, burglar attacks, and stampedes. This is because during such situations, the rescue process may become a bit difficult but with exit devices in place, such evacuations become much easier. • Reduced insurance rates- property and building managers are often looking for ways to improve the safety and security of buildings with the intent of spending the minimum amount of money to do so. Most of them have actually discovered that professional installation of exit devices decreases insurance premiums. This means that with the installation of exit devices, they are able to save more on the insurance premiums. • Efficiency and Effectiveness- exit devices have so far proven to be efficient and effective. They promote fast and efficient ways to evacuate a building or a house. • Variety of Options- exit devices come in a wide range of options. As a result, it’s easy to choose the option that best suits your home or business security needs. Common types of exit devices include multipoint, cable, rim, touchpad, mortise, recessed, and crossbar respectively. All these devices comply with building codes while enhancing the security of your property. Also, they match different types of doors as they come in different shapes, styles, and colors. Truth be told…installing exit devices is not something you can do by yourself. You may be required to possess some specialized skilled and knowledge to do so. You may also be required to have certain tools and equipment to install these devices- and it’s likely that you don’t have them. And even when you decide to purchase them, you might end up spending huge amounts of money. Furthermore, there is no guarantee that you will be able to install the devices successfully and efficiently. It’s for these reasons that you should consider using the services of a local professional locksmith. After all, people generally use locksmiths for such sensitive security installations because any mishap can cause loss of lives, especially during fire emergencies. Let’s have a look at why you should leave the installation of exit devices to professional locksmiths. Locksmiths use a variety of installation methods and techniques based on the type of door and the exit device to be installed. They work to ensure that the best devices are put in place and that the safety and security of your property is greatly improved. Only the best quality devices from the leading manufacturers are used. This not only guarantees that the building code is followed through, but also that the devices are the most effective in terms of safety and security. Locksmiths use advanced technology during the installation of exit devices to ensure the best possible safety measures. They use advanced technology such as code and surveillance cameras to provide enhanced protection and track each single activity taking place in your property or business premises. Because of their advanced skills, experience, and expertise in utilizing such modern techniques, they are able to provide you with a comprehensive security system accordingly. Locksmith experts can make a well-devised and detailed plan to secure your property or business premises; from the entry and exit doors to the safe and drawers alongside proper management. You can then relax and never have to worry about the safety of your home or business after you’ve left. As a home or business owner, the safety of your property is paramount. You will want to hire a security service provider who has a proven record of offering reliable and dependable services- and professional locksmiths can provide just that. As a building or property manager with a number of buildings, you will want to hire the most affordable security services. Likewise as a homeowner on a budget, you will want to hire the cheapest available services. Fortunately, locksmiths offer the most affordable installation services, unlike other security service providers without compromising quality. When faced with some security challenges in your property or business, the first thing you’ll probably think about it calling a security service provider. Unfortunately, not all security companies offer their services 24/7, meaning that in case you get caught up in an emergency situation, things can get worse for you and the people involved. Locksmiths are not only reputable for offering quality installation services, but are also known their prompt response in times of emergency. Locksmiths provide exit devices installation and maintenance solutions to different types of commercial and residential buildings. Whether you’re a homeowner or business owner, it’s equally important to ensure your safety and the safety of others in the event of emergency situations. Therefore, you need to hire professional locksmiths for a comprehensive exit devices security system.